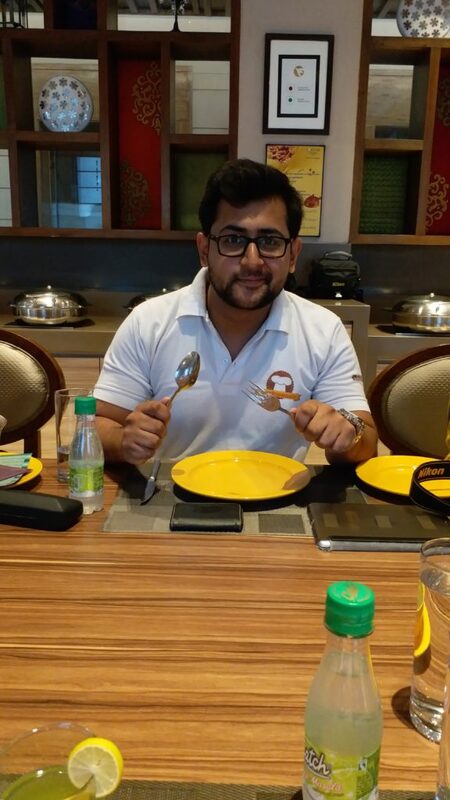 ITC Fortune Inn Grazia, Noida is celebrating Ramadan in a new way and we cannot keep calm. 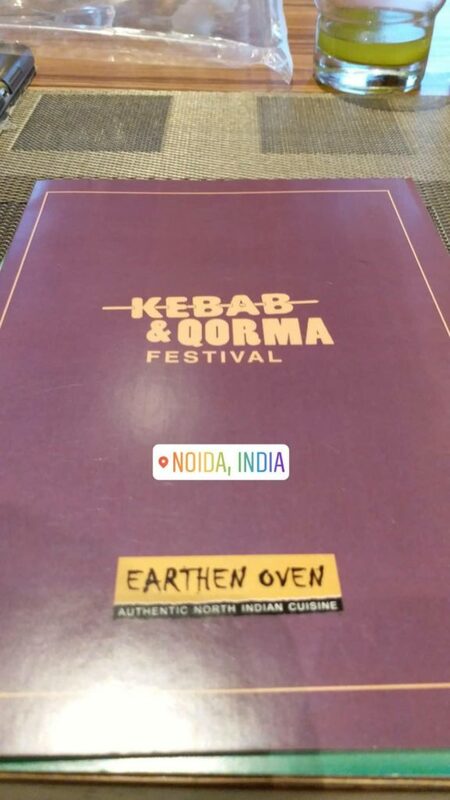 They are celebrating by “Kebabs & Qormas Food Fest” and I was drooled. I was honoured by Executive Chef Mr L.B. Sharma in their authentic North Indian Restaurant “Earthen Oven” which is fine dining Indian cuisine restaurant. 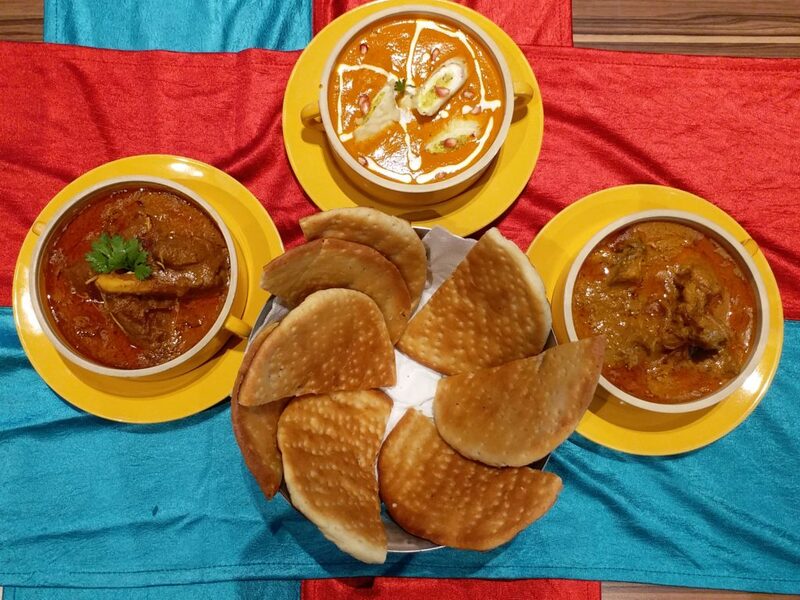 The concept of this Food Fest is to promote the Authentic Awadhi Cuisine which includes Kebabs introduced by Persians and Qormas which are stewed meat gravy based recipes. Starting off there were variety of Kebabs which was served to us which includes Mutton Galouti Kebabs, Beetroot Kebabs, Dahi Ke Kebabs and Murgh Sultani. Kebabs were succulent and melt in your mouth in just sometime. The best part! They were not greasy at all so it gives extra kick on your palate so that one can taste each and every component in the recipe. The above picture is of Mutton Galouti, served with ‘Paratha’ underneath to give a crunch, with a smooth texture and juices oozes out it melts in your mouth and take you to a carnivore dream. Well balanced with the spices and flavours. 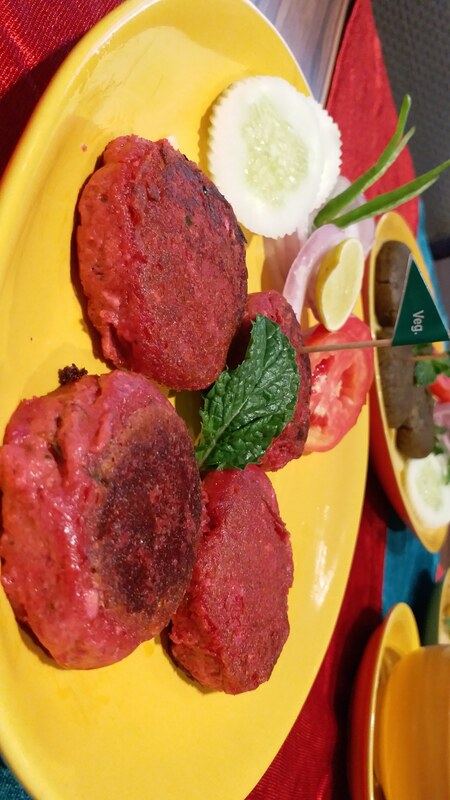 These colourful and appetizing Kebabs are of beetroot, for vegetarians one of the best options in Kebabs, juicy and light at the same time. Accompanied with mint chutney and there is an amazing flavour of Dry Mango. 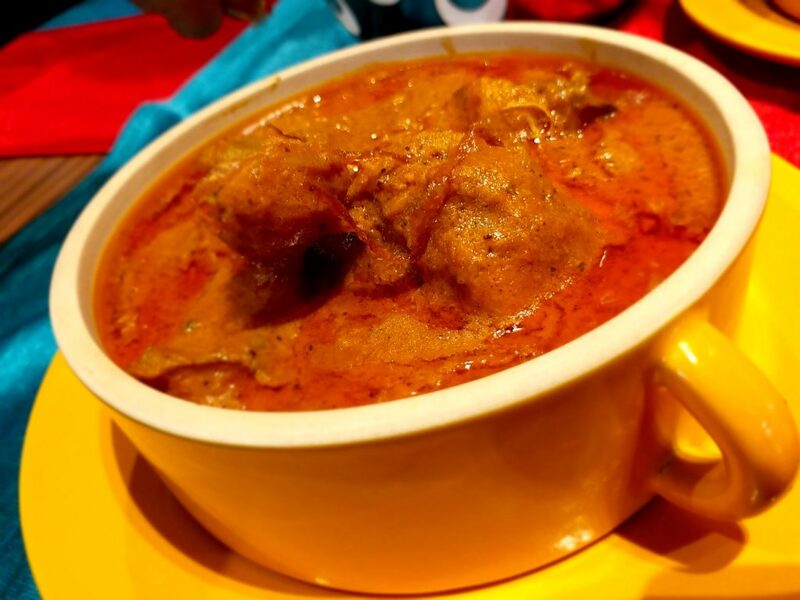 The dish which was juicy like anything was the “Murgh Sultani” which is rich and creamy not same as Murgh Malai Tikka, this recipe use chicken breast to prepare this dish. The chicken was really moist when cut the piece. 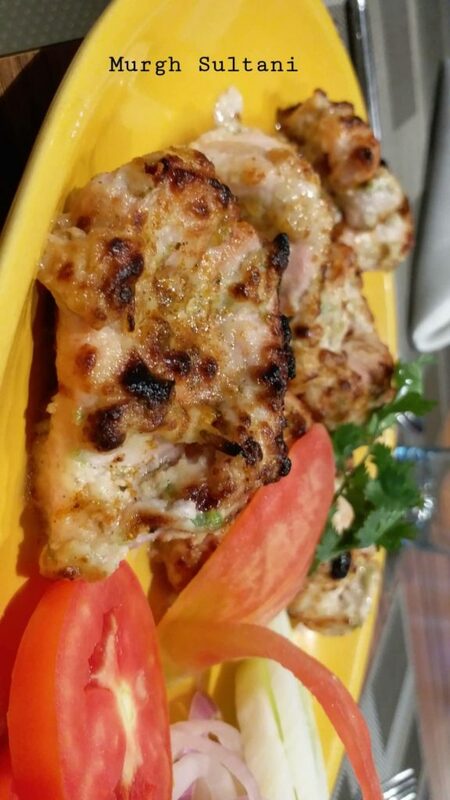 Going by the name Chef Sharma have taken the concept of Sultans where the meat used to cook on the swords so from that the name has been derived Murgh Sultani. 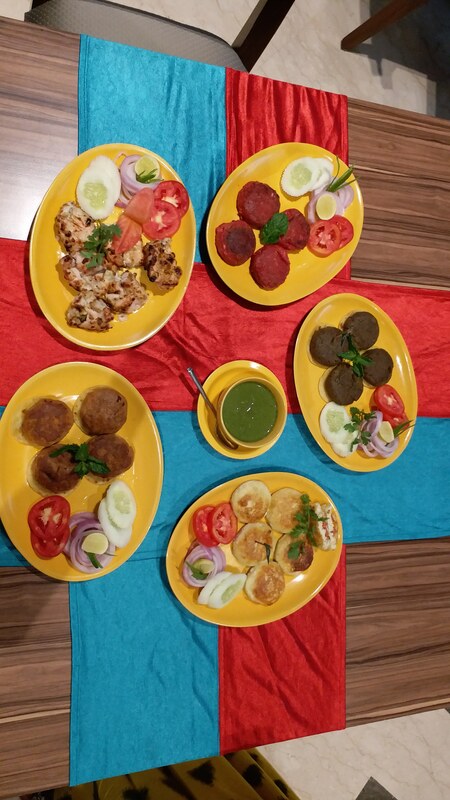 One cannot forget the “Dahi Ke Kebabs” served at the restaurant. The Kebabs were so soft and delicate that you won’t stop at one. They were delicious and fluffy. So, Moving on towards the main course, there were Qormas, one was “Nalli Gosht”, which is Mutton cooked in Indian spiced Stew along with whole Indian Spices and onion tomato based gravy. 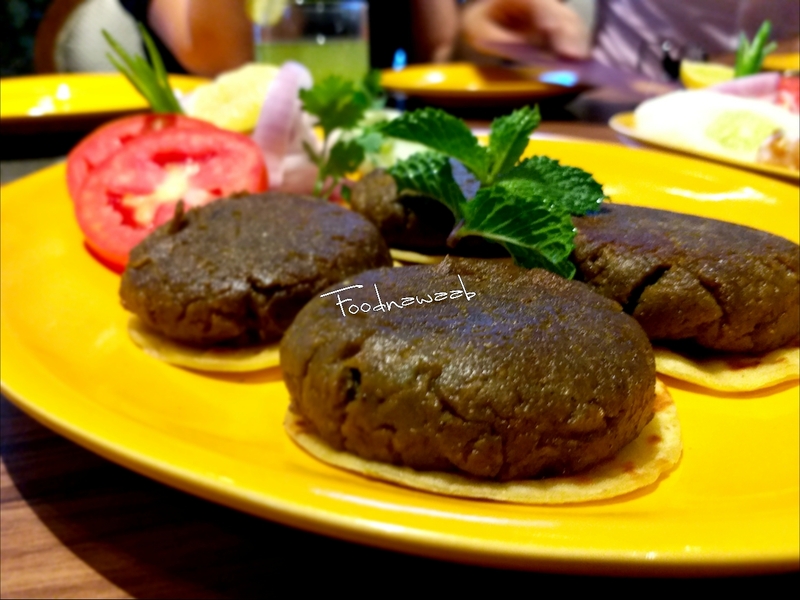 Taking Awadhi Cuisine into consideration all the preparations were made by the traditions and culture of Awadh and this Food Fest shouldn’t be missed by you guys!! 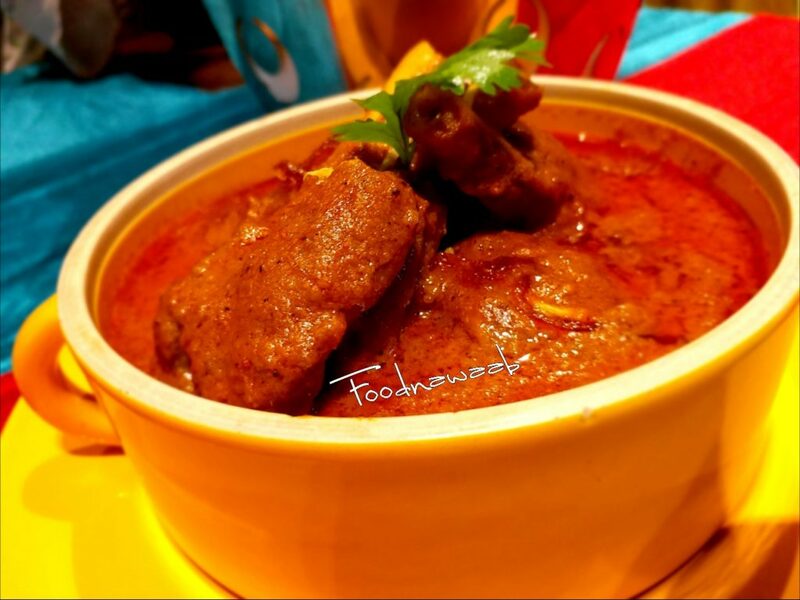 For Chicken Lovers there was “Chicken Qorma” which was way too different, generally I have experienced in many restaurants that the stew is same but here both the gravies were different and well balanced. 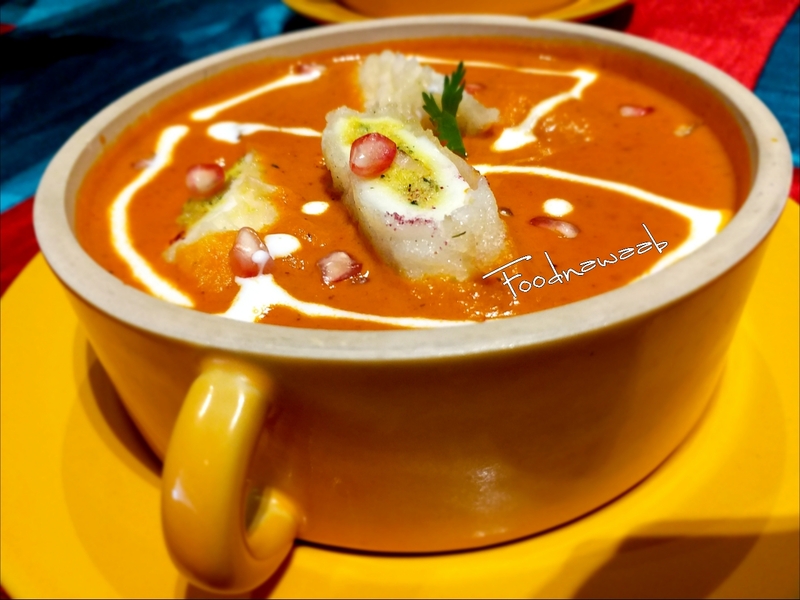 Vegetarians also do have options in Qorma apart from other dishes, the restaurant serves “Paneer Gulnar” which is Gulnar Kebab made from paneer and cooked in Makhani based gravy, not too spicy, sweet and rich in the texture. One can just love this dish just even looking at it. It was really good for eyes, good for your soul and makes you Happy. The dish is garnished with pomegranate and cream as well. To finish off this amazing feast in “Earthen Oven” there are variety of Mango based recipes served in the restaurant, such as Aami Panna which is really refreshing and good in summers. 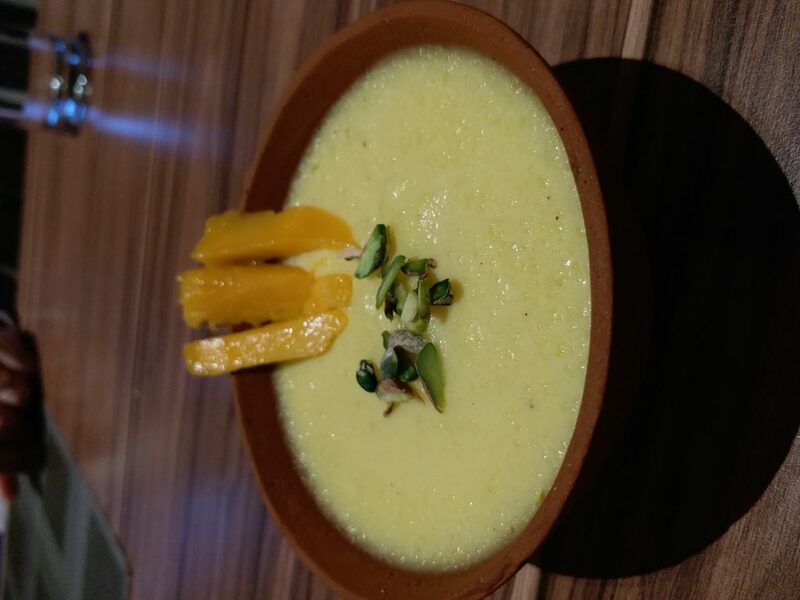 “Mango Firni” which was smooth and rich, and as we all know Firni is one of the signature recipes served during Ramadan! 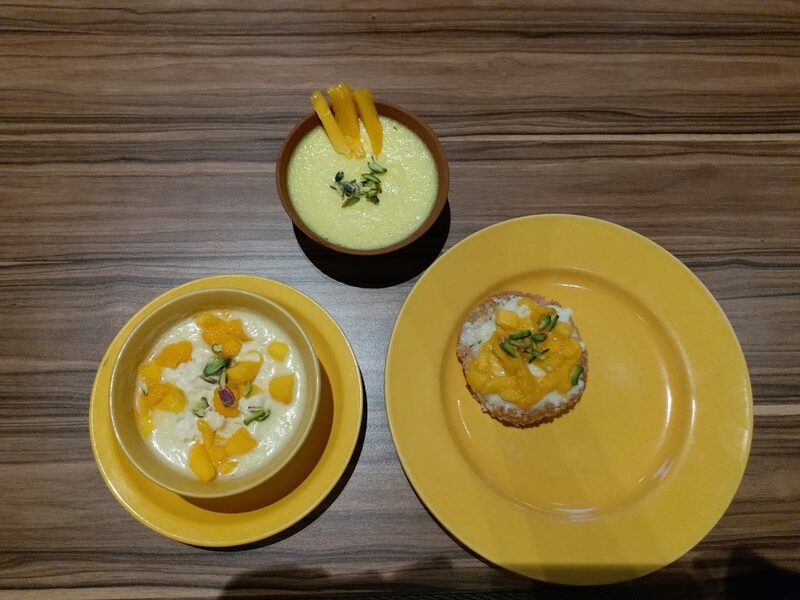 The next dessert was “Mango Rabri” which is milk based along with dry fruits and there was an addition which was Alphanso Mango puree blend with it and garnished it with chopped mango. 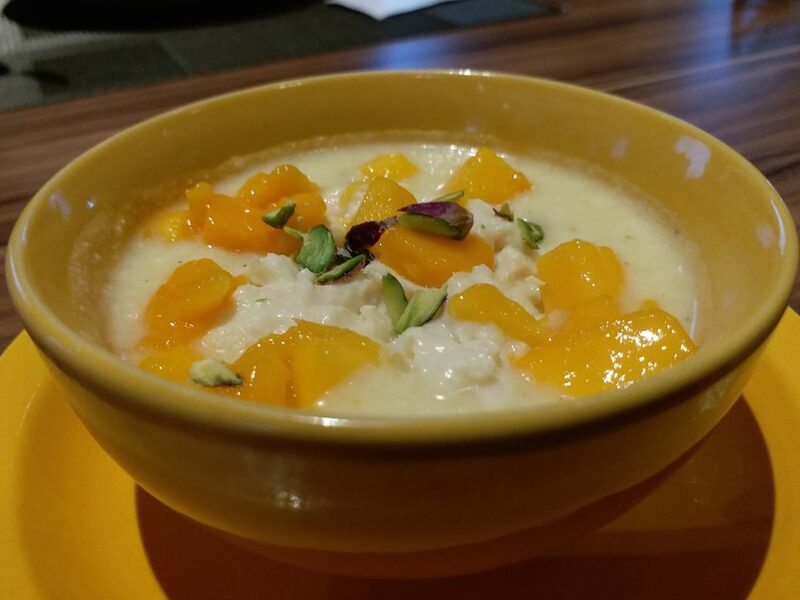 So it was an amazing combination and sweetness of mango and dry fruits. 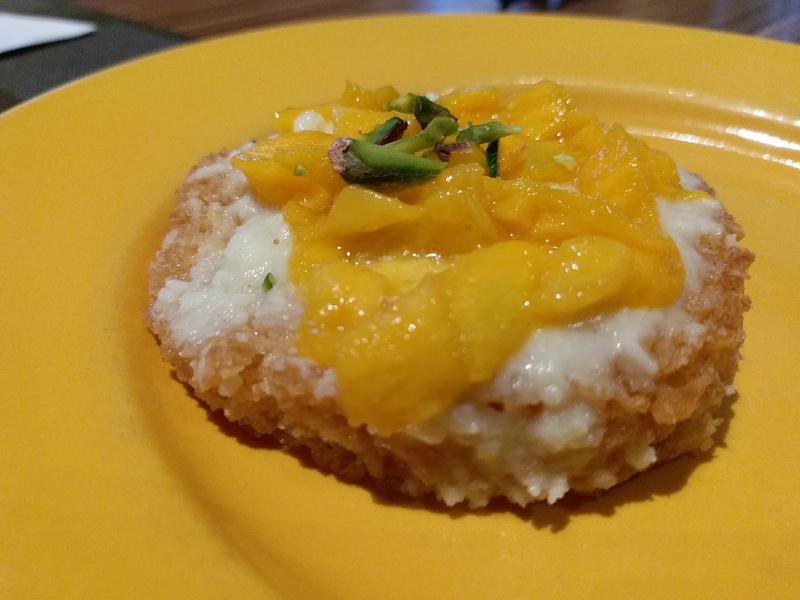 The most amazing of all “The Mango Shahi Toast” which is also one of the signature desserts of Indian Culinary world and adding mango was taking it to another level. The mango added freshness in the Shahi Toast! To wrap up I would like you all to dive in and celebrate Ramadan like ITC FORTUNE INN GRAZIA, Noida. Foodies should come and get divined by the menu especially designed for this Food Fest!! The Food Fest is till 24th June, 2018 so guys hurry up before it ends. Keep eating, keep loving food, after all. It’s All About Food! Happy Ramadan.